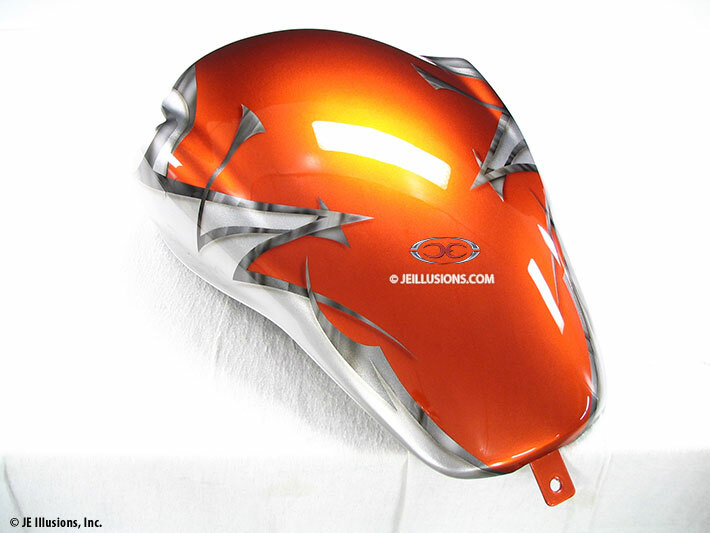 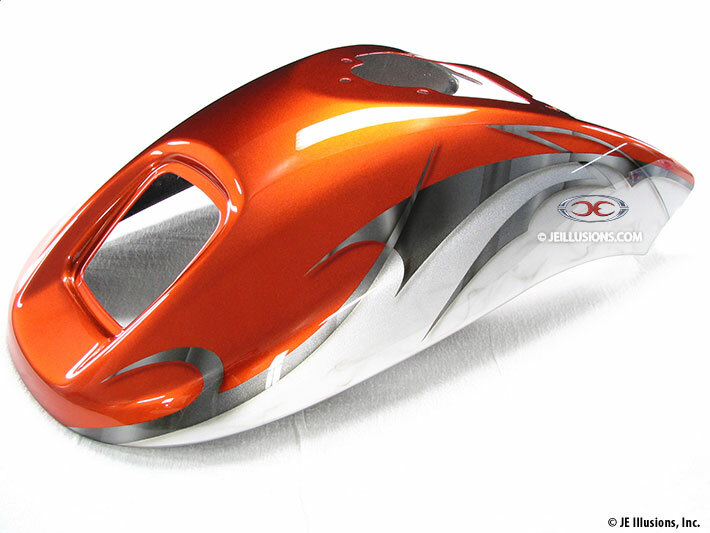 This custom paint set features a modern two tone orange and silver theme divided by a metallic graphic design. 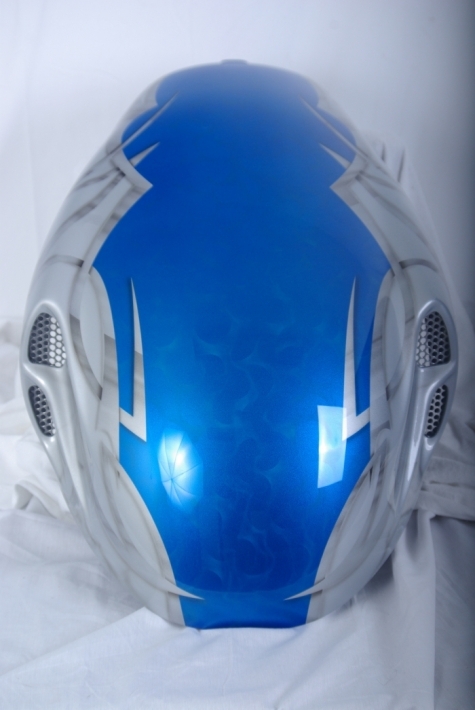 The cutting edge metallic graphics are chiseled at the edges and give the illusion of being machine routed for an ultra-realistic 3D effect. 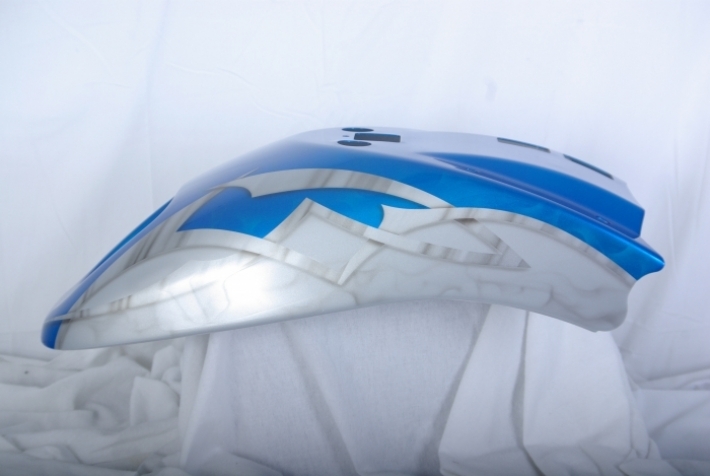 A second set was painted in blue and silver.